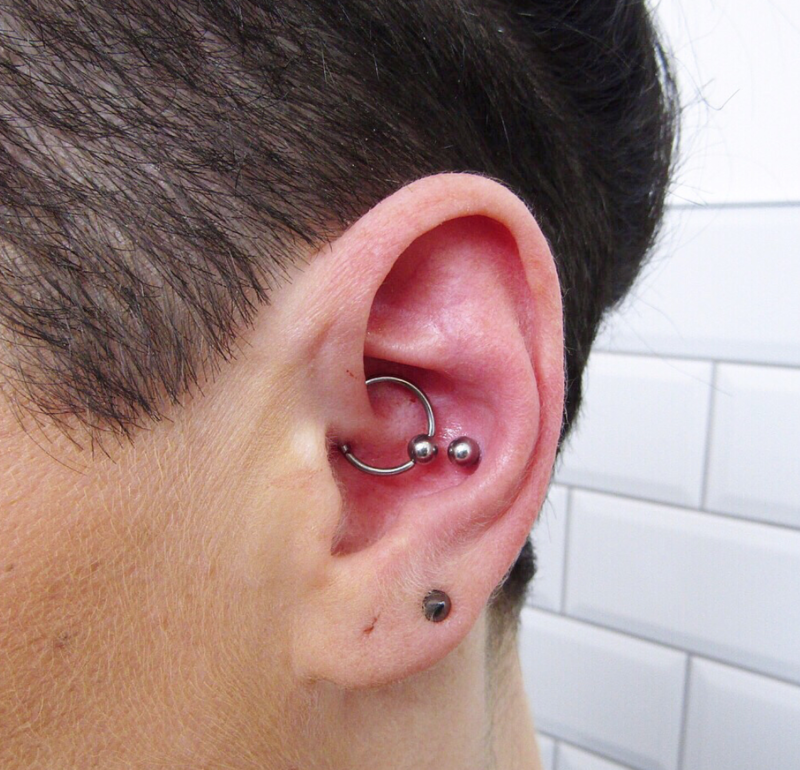 The conch piercing is one of the most exciting styles to have become established in recent years. This piercing can actually has two forms, both situated in the bowl-shaped interior section of the ear – which is said to resemble a conch shell. The inner conch is placed in the middle of this area and is generally finished with a stud. The outer conch goes through the back of the rim and is typically completed with a ring or another design that hugs around the edge of the ear. 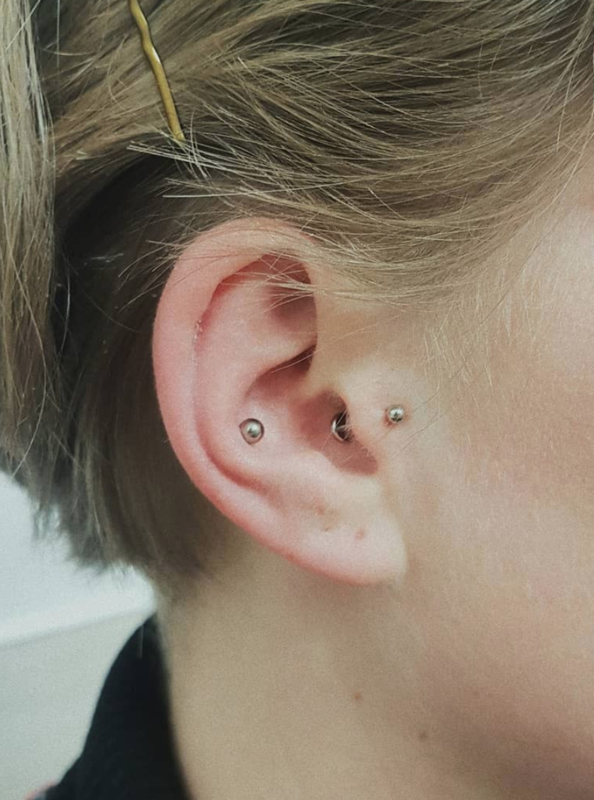 Across the board, alternatives to the conventional lobe piercing have seen a surge in interest in recent times, and the conch constitutes a particularly intriguing and quirky piece to get done. 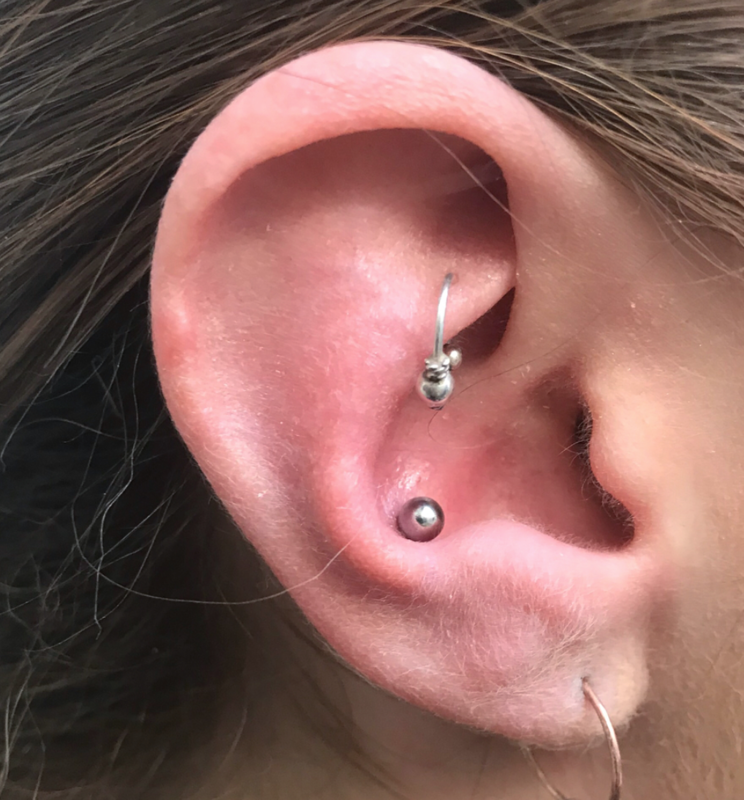 Depending on placement and what type of jewelry goes in afterwards, the conch piercing can range from quite discreet to being a statement piece. There’s a huge amount of scope to experiment in this regard. 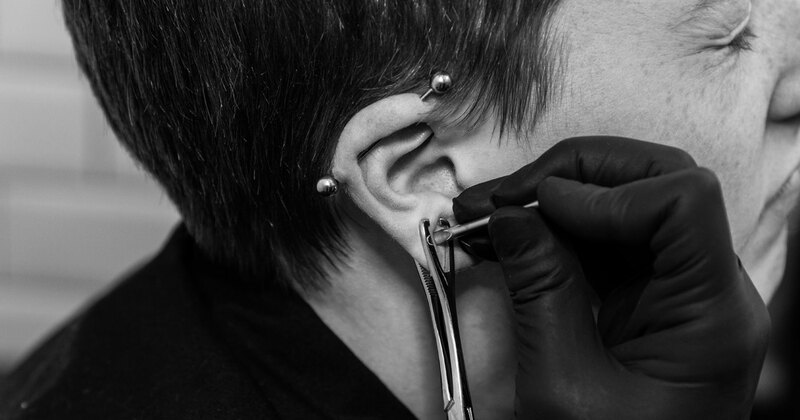 If you don’t have a clear idea of what you want, ask the piercing artist for advice on what type might best suit your ear anatomy and the placement of the piercing. Plenty of people feel a bit anxious about the prospect of getting cartilage pierced, but these ones are generally speaking not actually notably more painful than a lobe. Modern needles and well-trained piercers are experts at making this ride as smooth as possible. It’s advisable to go to a reputable studio for something like a conch piercing; you want to be 100% sure it’s done well. In terms of the healing process, if you’re getting an outer conch ring this will likely take a bit longer, as fixing your hair, changing clothes and other such activities will result in the ring being touched more and hence aggravated slightly every now and then. Conches take around 3-9 months to heal fully but don’t require a huge amount of maintenance. Don’t sleep on that side of your head for a short while after getting it done, follow aftercare advice and you’re all set!